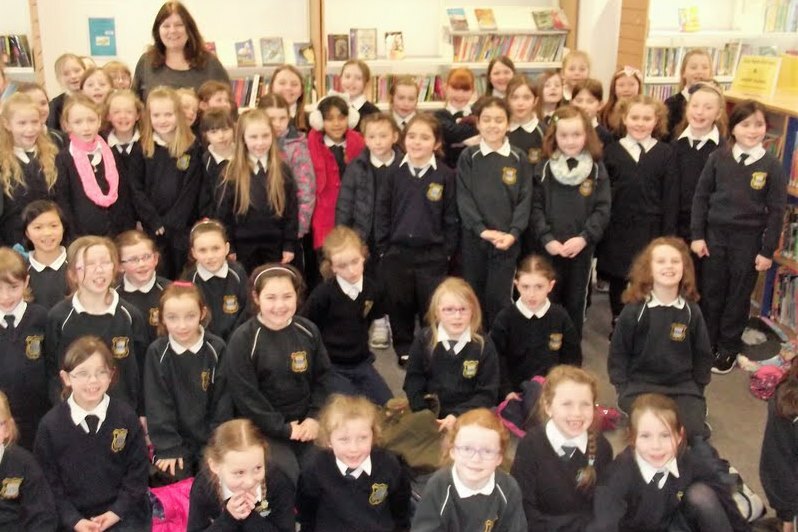 First and Second classes enjoyed a lovely visit to our local library on Friday 11th March to meet the renowned author of children’s books Carmel Kelly. 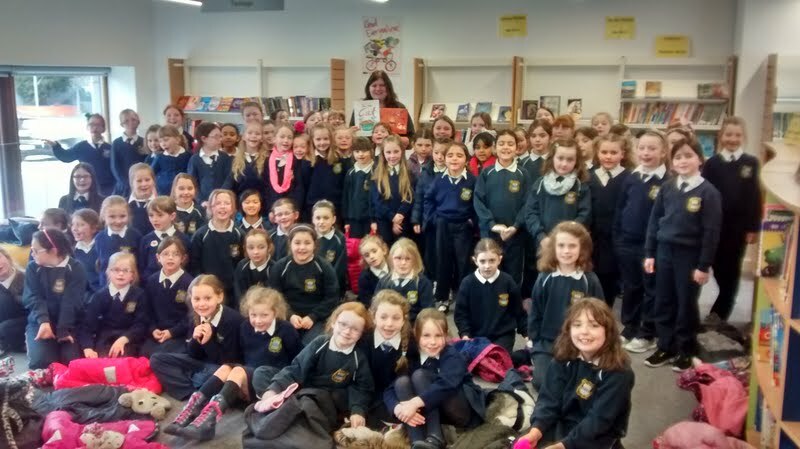 Carmel enthralled the children with her readings from her books ‘Spidey’ and ‘The New Cat’. Do Sheachtain na Gaeilge, léigh Carmel a leabhair ‘An Tolg Draíochta’ agus ‘An Leanbh Nua’. The girls were very interested in hearing about how Carmel gets her inspirations for her books and then develops these ideas. The importance of the author and illustrator of children’s books working closely together was highlighted. The children had many interesting questions for the author afterwards. The whole experience was very informative and enjoyable for all pupils and their teachers Ms O’Dwyer, Ms Lambe and Ms Coughlan.